Located in North Bali, Kerenkali is enjoyable throughout the year. It has 2 distinct parts: the first one is a sequence of jumps, slides & short rappels inside a gorge carved on volcanic rock. 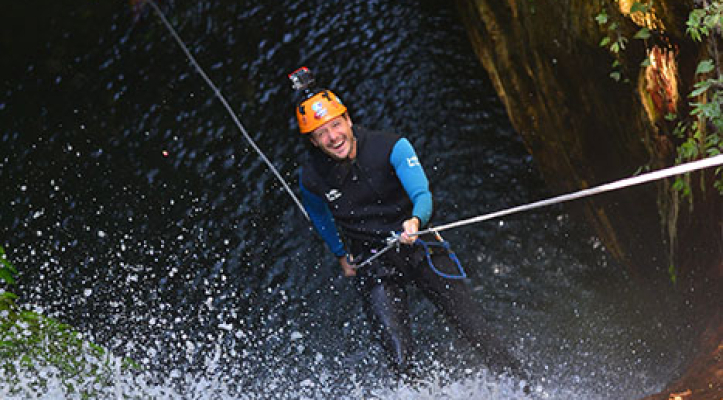 It features caves and natural springs, a mix of fun and excitement in a fantastic environment! The second part provides more challenges. 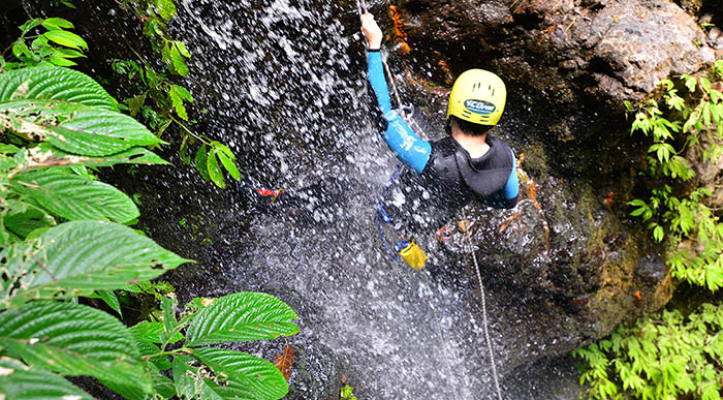 Beautiful rappels in impressive waterfalls (the highest is 26m), swims & jumps up to 10m (optional). You will have a snack to recharge your energy mid-way through the canyon. 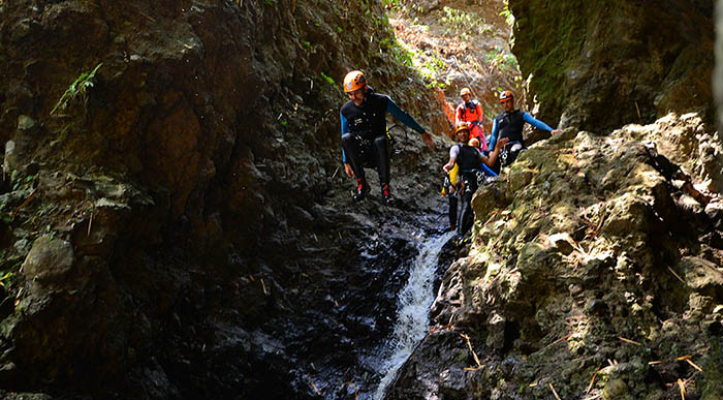 We never went canyoning before and it was amazing. Highlight of the trip even. The tour guides were amazingly fun and friendly. It was a great time. Recommend to anyone looking for a little adventure. It lasts pretty much all day but they give you 2 free meals which is nice. The guides were knowledgeable and fun. The scenery was amazing. I’ve done a good bit of repelling, and that is what I was most interested in when I booked the trip. Many of the repels were against waterfalls that only provided a surface to repel down for a portion of the distance which meant you could not repel all the way down and had to release and drop into the water. Sometimes it was shallow, so you had to drop on your bum and not on your feet. Sometimes it was deep and you would drop a good bit into the water. Wearing a full wet suit, this got tedious and these additional challenges. Overall it was worth the effort. What a totally awesome experience this was. We had the best day, Rama and Jess were just amazing, so much fun. Highly recommended experience. Une aventure vraiment à vivre je le recommande chaudement ! Un très bon accueil, un excellent accompagnement dans la bonne humeur, des paysages sublimes et des sensations fortes incroyables ! Incontournable pour toute visite de Bali ! the guides are amazing , caring, so nice ! such a great moment ! Excellent adventure! Our guides were a lot of fun and very professional. We felt safe and had a blast! It was one of the best days of our multi-week trip to Indonesia! Highly recommend! We loved the experience and the staff. They made us feel comfortable while having lots of fun in a beautiful natural setting! Wonderful experience. Excellent facilitators. Well maintained equipment. Only thing is that majority the photos are pretty unusable. Its either blur or obstructed. But hey, its free. Perhaps you guys ought to upgrade the GoPros. Nevertheless, the activity is expensive but worth every single penny spent!! I’m sure to come back for another soon! Had the time of my life. My guides Anggodo and Okka were amazing from start to finish. Both guides were hilarious and fun to be with. We had so much fun that time just went by so quickly. Honestly, hands down to both guides for keeping me safe and informed on each section of the repel or jump. Definitely return and most likely take a course! This was a really great tour!! It was such a great and adventurous way to see some of most beautiful areas of Bali. Went with my Sister in August and loved it so much I took my family to Bali last week and did it all over again with them. So safety conscious and professional and yet still have us laughing and having a ball. Would defiantly recommend to everyone. It is no exaggeration to say that this was one of the most fun and exhilarating experiences of my life. Our guides knew when to joke around and when to focus the group on the next obstacle. Not once did I feel in danger, even when slipping on the slopes of the Gitgit twin waterfalls (secured by two safety ropes) dangling 18 meters above the ground. Professional from start to finish, an absolute must do in Bali!! Highly recommended !! Very friendly And funny team. The most Special experience in Bali. Very safe and exciting. Photo all the time for free. DO NOT THINK ABOUT IT, JUST DO IT! Great adventure and experience! We loved the course and especially our two guides, who were funny and very professional. This was our first time the guides were excellent we both felt safe and challenged. We have already recommended it to other travellers. Truly awesome experience! Angga and his crew were great. we felt safe and had a lot of fun! Awesome tour! Both our guides and our photographer Adrien had a great sense of humour, and the landscape was surreal and breathtaking. Kerenkali was just the right balance of beautiful landscapes (canyons, waterfalls, caves...) with enough Adrenalin to push us on our 3rd canyoning experience (the 8m jump at the end was fun). Definitely will repeat again, thanks guys! 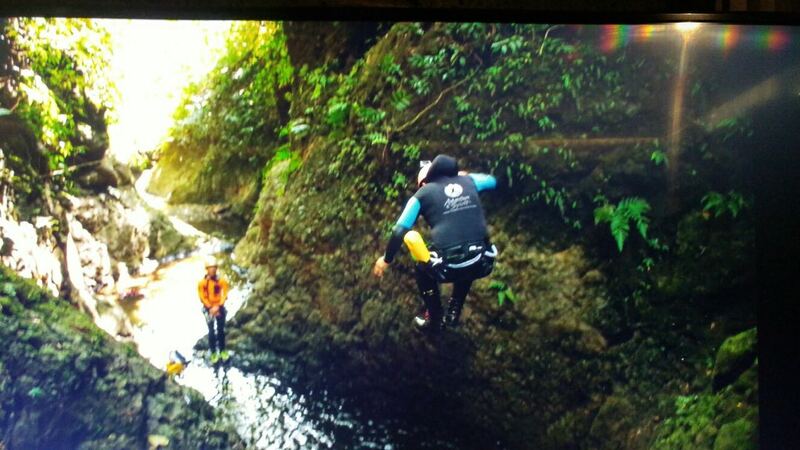 Great experience, super guides, beautiful canyon, lots of fun and adrenaline. Efficient pickup & dropoff. Biggest disappointments were the pictures – most exposures were good despite the difficult conditions, but they all have a hazy / blurry look. Posted an example crop (only at 50%, it looks worse at 100%). Glad one person in our group had a GoPro – how difficult would it be to provide one for the group? Weren't very important to me: I can not see any justification for the price expect lack of competition. Food was average to poor. Both of our guides were absolutely amazing. Canyon is beautiful and I would do it again in a heartbeat. Must do! Magnificent surrounding, fantastic crew! Very welcoming, knowledgeable, very funny! and very supportive! I was scared to do the jumps but Rama helped me and I ended up doing all of them! And yes, the longer tour cost you $50 more however it is worth every penny! We booked the Kerankali Trip only a couple days before online (the transaction is very professional!) 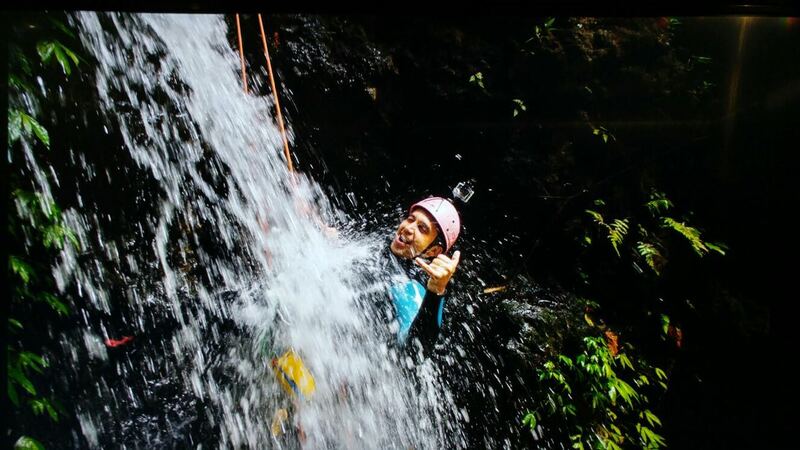 and it was the best canyoning tour we had so far! The pick up service didn't disappoint us and the driver arrived at 6:30 AM in Ubud. The guides around Rama, Anger and Emil have been very helpful and most of all they were so funny that everyone on the tour enjoyed the trip! Although I was a little bit scared of the jumps the guys have been very patient and waited for everybody to feel comfortable! Thank you so much adventure & spirit team and keep on going like that! We love your spirit and we will never forget this experience! This trip was incredible! 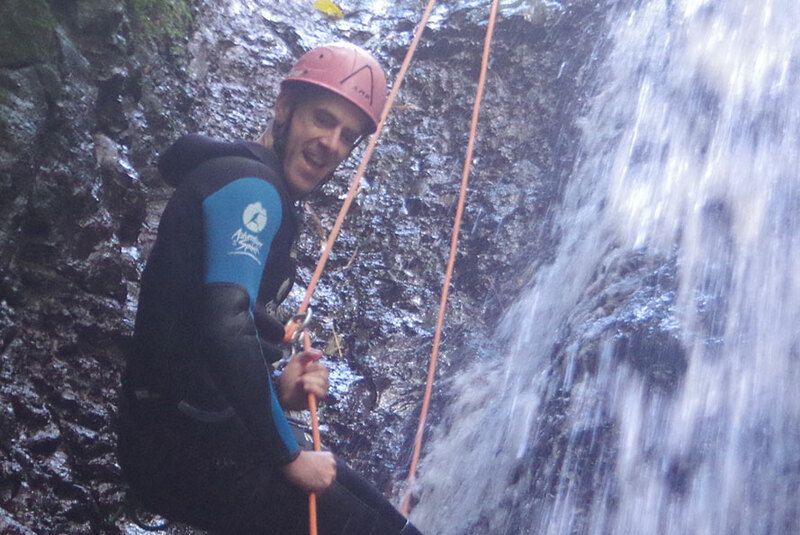 Our instructors were fun and helpful and made our first canyoning adventure safe and exciting. Worth every penny! 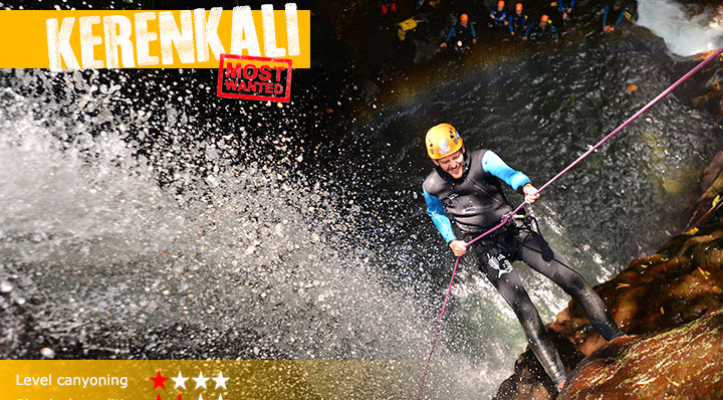 Kerenkali was awesome and the instructors really made the day. Will do again in a heartbeat. 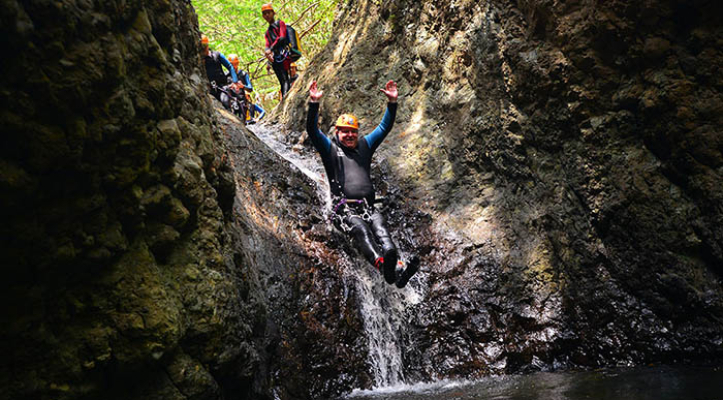 I cannot say enough great things about the experience with the Adventure & Spirit team as well as the actual canyoning. The team was knowledgeable, fun and it's the perfect mix of outdoors, athletics and sightseeing. I would recommending doing the entire Kerenkali canyon--that's what we did! Some of the individuals on our trip opted to do the shorter route but the second part of the canyon is the best part. My fiancee and I ended up being the only ones with the A&S team on the back half so ended up having the entire canyon to ourselves including an 18 and 20 meter waterfall. It was amazing! To top it off, the photos they take during the trip are free--for those of you from other parts of the world, you know just how rare that is! It's a treat to not have to be upsold memories, they just provide them for you! They also serve you breakfast and lunch--both authentic and delicious! A driver punctually picks you up and drops you off at your hotel--we actually had him make a few stops on the way back to the hotel and he was more than obliged to do so! Beautiful Tour. well organized. Good guids...nice people! Angar was our guide for the Kerenkali trail and he was very genuine and friendly. :) All about safety first and that really gave us the reassurance we needed. Adrien And Jes were outstanding! They were safe, funny, and great all around instructors. I would go into any canyon with them as my guides, a great team and an excellent experience that I have already recommended to friends! Such an great experience to have whilst in Bali, we had the most amazing day! Both our tour guides were extremely professional, funny and enjoyable to spend the day with. Loved every minute of it. would definitely recommend it to anyone visiting Bali. Great fun during the trip, dedicated and serious instructors. It was an awesome trip! Our instructors are super fun and they make sure you are safe. We really like it that we go out in a small group and have our personal time. Highly recommended! Thank you guys for a fun and active experience. I love the enviroment and the route. And the group wasn't to big, so we didn't have to wait to long at an obsticle. On the other hand, we were not in a hury and enjoyed the nature around us. The support was great. Joss and Rama were amazing! Great day, great service, lots of fun. We will definitely recommend it. Everything about this activity was amazing thanks to our amazing guides/instructors Rian, Imin and Rama. What an exhilarating experience. The scenery and environment is breathtaking. 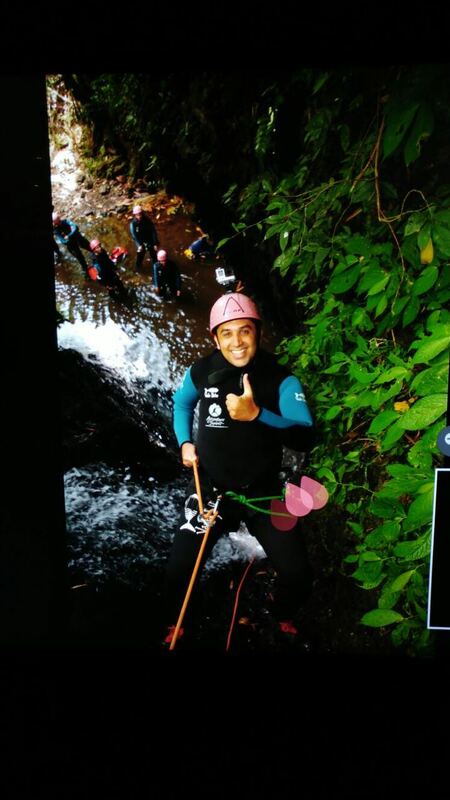 Sliding, jumping and rappelling down waterfalls was a lot of fun! A repeat is definite! I had a great time with A&S team. 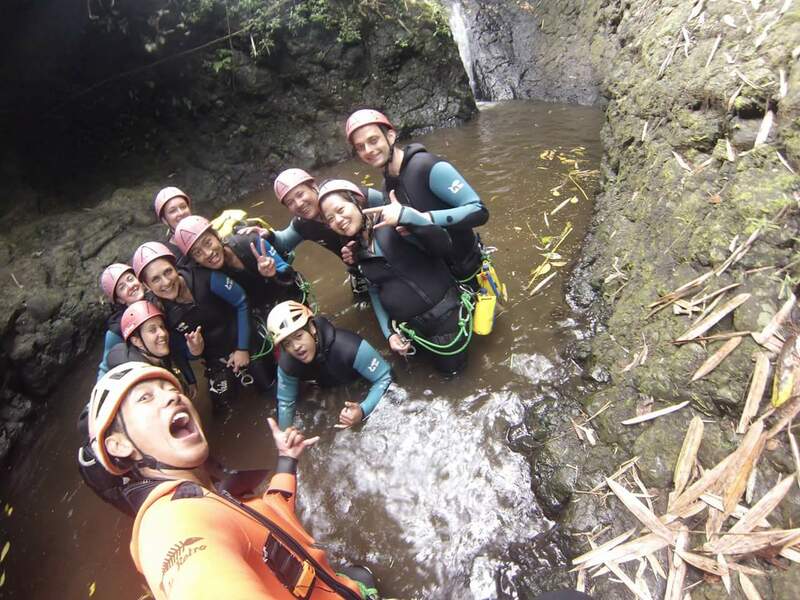 They are very safety conscious and a great bunch of fun people to do this activity with (canyoning). Would definitely hope to come again and would recommend to others. We felt in security with a really nice and professional staff. It was an amazing day ! Awesome from start to finish! Angga was really friendly and passionate. Top guide! Would definitely come back again for more challenging routes. I was told by Rama that I would receive a partial refund due to having to stop early. I've emailed twice about the refund with no response. I resent having to chase this refund. My next call will be to the credit card company. we had an unbelievable experience! The crew was kind and funny. They helped us with everything we need to know. The welcome was warm with a good breakfast and a big smile. Afterwards when we left to the canyon the fun only grow. We learned to know each other and laught a lot with each other. Afterwards we had a good and tasty lunch together. At the and we could get the foto's and video's that were made for free. There was no extra cost than what we had paid. A really good day for us!!! Kerenlali is a must do canyon. Very right in beautiful nature and waterfalls. Lots of fun, real adrenaline, impeccable attention to safety. Rama and Oka were great guides. Thanks a lot! I hope to be back!! This is my 3rd time to Bali and the best one! For breakfast, choose the nasi goreng. You'll need the energy! Our guides were funny and super energetic throughout - Rama, Win and i forgot our other guide's name, so sorry! Once we reached the canyon, boy, did it escalate. 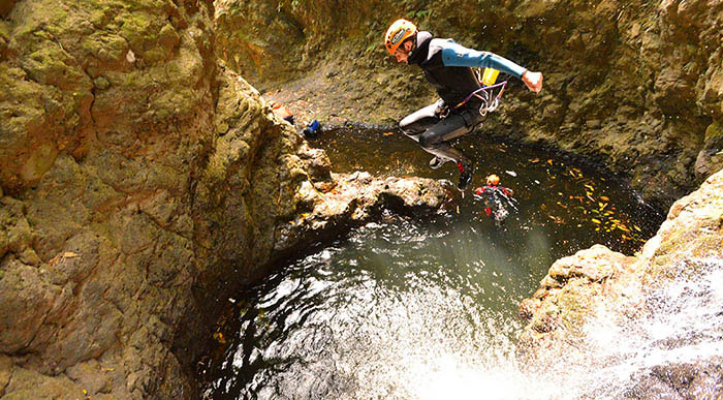 We jumped into gorges, slide down between rocks, abseil down waterfalls. Recalling one of those moments: the water was pounding down on me from the top. My feet slipped off the rocks and my whole body swung and crashed into the waterfall rocks. Lucky my wetsuit cushioned that! I composed myself, moved to the side and continued. After what seemed like forever, i reach the bottom. I felt so accomplished! This is one of those things you'll look back and say "i can't believe i went through that". It was the same price as my flight to Bali, yes it's pricey, but DEFINITELY worth it!!! Eric & Lyn had a lot of funs, and very experienced. Specially thanks for 2 friendly instructors, and they're very fascinating in their job. Anggka and Oka were amazing guides for my trip. Made the trip very fun and very safe. No pressure to do the scarier stunts. Always option to slide if you get anxious. Wet suit, water socks, water boots, shower and towel provided along with many other necessities. Which is great. A filling lunch of Nasi Campur additionally to top off the great day while a light breakfast is served before beginning the journey (pancakes, eggs, naso goreng, etc.). Fruits for dessert. Just make sure to use restroom before the trip. Angela and Oka took pictures and videos throughout the journey and gave it to us for free provided that we had a USB or SD card with enough GB (8 gigs). If not, they will sell 8 GB USBs for those who forget. Our instructors' energy was infectious! We had a great time! Would definitely recommend this to friends and family! We had an incredible time! 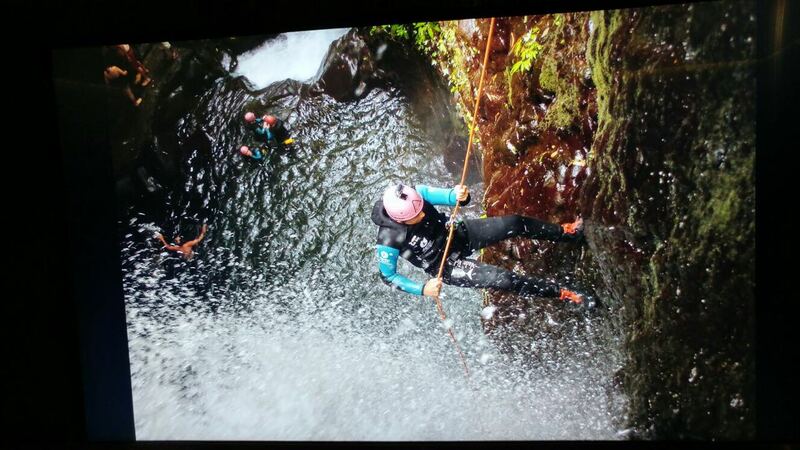 Canyoning was not only great exercise, it was also insanely fun. Neither of us had been canyoning before but after training and with the guidance provided, we felt perfectly safe at all times. 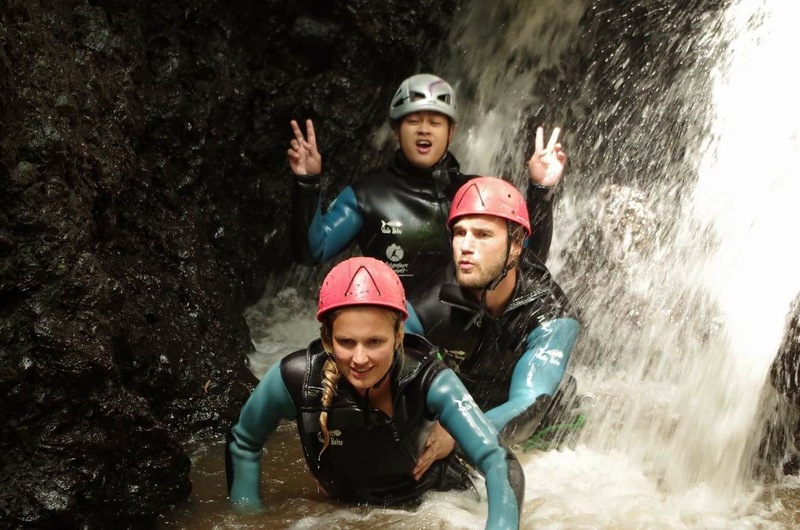 Best adventure trip in Bali!! So magical and epic! I've been living here for 7 months and back and forth over many years and this is the most amazing excursion on the island! Thanks to the Great guides, who are knowledgeable, safe and fun for getting us through this wonderland waterfall course. Loved it!! Spectacular! Thrilling! What can I say that hasn't been said before! Our guides were enthusiastic, knowledgable, and patient! They made the experience an exceptional one! Thank you for a memorable time! Everyting is great! NIce and friendly guides. The scenery is totally amazing. This was the highlight of my trip to Bali, and to Indonesia in general. I had so much fun and discovered an activity that I hope to continue doing in the future. Angga was a super fun instructor who made everyone feel comfortable and excited for each of our various slides, jumps, and rappels. The beautiful scenery, the cool water, the lunch at the hot spring - it was just overall a wonderful way to spend a day. I'm so incredibly glad I went. Thanks so much! We had a great day, it was a fantastic experience. One point, our driver to/from Ubud was very reckless and unsafe. I would not recommend using this driver again. If you would like additional details, please feel free to contact me. Also, on the way to the cannoning location, the driver made an unscheduled stop at a coffee/tea farm that we were not interested in. Invigorating experience! Our guides were the best, they were professional, high-energy, took lots of pictures on their GoPro which they shared with us after the trip. I loved all the jumps, slides, rappels, and zipline! We even took a few minutes to enjoy a natural hot spring and drink local tea. I would absolutely recommend this trip for anyone! There was even a 50+ old guy in the group, he had a lot of guts!~! Awesome operator's great day full of fun and professional service highly recommend this cannyoning tour. Thank you so much. Great! Had a lot of fun, and our guide (Agar) was very enthusiastic and helpful. Only drawback was that the begining of the trek was very slow due to our group being so big (combined with the less intense canyonning group). This was a major drawback as things were taking too long. Group size should be capped at 6 people maximum in my opinion.